Description Ready to be the winner at this battle? 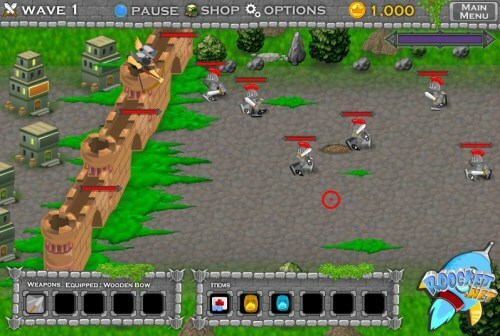 In this game you will become an archer who will try to defend your country from knights attack . Let's shoot knights with your bow until they die and can't reach the wall. Buy new weapons in the shop to get more powerfull power to win the battle. Let's be a great archer! Controls Use your mouse to aim and shoot the knights.